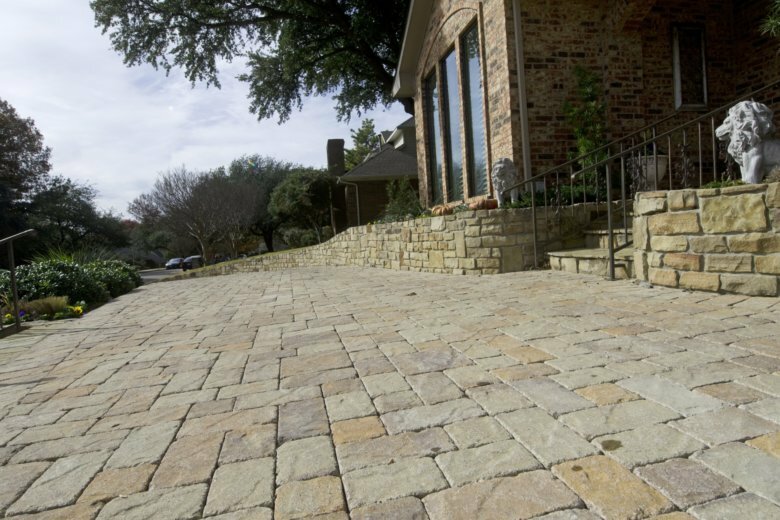 One driveway at a time, many green-minded homeowners and communities are opting for permeable paving options instead of traditional asphalt. “It’s much better for the environment because it helps cut down on storm runoff, which picks up motor oil and other pollutants, overburdens water treatment facilities, and can ultimately end up in local waterways,” says Margaret Mayfield, an architect in Los Osos, California. — Grass with tire strips. In dry and mild climates, a grass driveway may work perfectly well, particularly if two 18-inch-wide gravel or impermeable paved strips are included. That combination produces much less runoff than a single-slab, impermeable driveway, experts say. — Loose stones or gravel: This method has been supporting vehicle traffic for centuries, and is as viable as ever. — Concrete or recycled plastic grid systems: This option has become increasingly popular in many areas. It consists of grids or blocks that form a hard surface, allowing water to flow freely through the spaces in the grids. The grids can be filled with sand, gravel, soil or turf, and are long-lasting and easy to install. — Permeable Pavers: These include cobblestones, stone or concrete paving stones with gaps between them filled in with sand, so that water can flow through. — Pervious concrete and porous asphalt: New types of concrete or asphalt actually let water soak through. This allows for pavement-style parking and driving surfaces where local regulations might not permit alternatives. Environmentalists say that porous surfaces like these can play a big role in reducing the amount of rainwater that runs down hard surfaces and fills rivers, ponds and municipal water systems, picking up debris along the way. That rush of water can pollute local waterways because water-treatment facilities can’t handle it all. According to the Environmental Protection Agency, permeable pavements can also help reduce flooding of building foundations and ponding of water on driveways, sidewalks and patios. And while permeable options can be a little pricier than non-permeable paving, that isn’t always the case, and proponents say their benefits are worth it. Permeable pavements have been used successfully in many parts of the United States and Canada, including in cold climates, says EPA spokeswoman Enesta Jones. When selecting a permeable surface, she says, consider adjacent land uses and the prevalence of soils, mulch, leaf litter or other fine particles that might create clogs. In such cases, take care to design the driveway or walkway to avoid loss of permeability. If permeable, interlocking concrete pavers are selected, you might want to buy some spares in case the pavement is damaged or pavers are lost. Many communities across the country offer incentives like rebates or reduced stormwater utility fees to those who opt for permeable paving, so check with your community office before launching a permeable paving project.